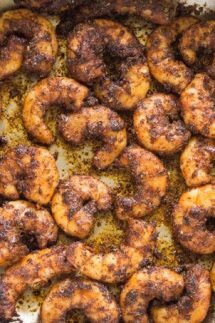 Blackened Shrimp is one of my absolute favorite shrimp recipes, and it’s super easy to throw together! I use my Homemade Blackened Seasoning rub which is a combination of various spices including chili, cayenne, and cumin. This time I made my Blackened Shrimp in a skillet but it’s fantastic on the grill too. I recommend you put the shrimp on skewers or use a basket on the grill so the shrimp don’t fall between the grates. 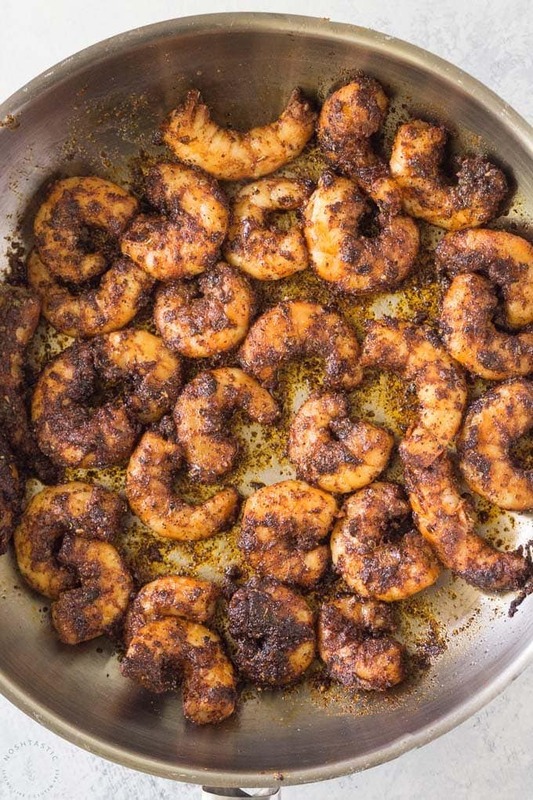 And the best news about this shrimp recipe? It’s naturally gluten free, paleo, Whole30, Low Carb and Keto compliant, there is no sugar added, hooray for that! Step 1 – The first thing you need to do is to make your own Homemade Blackened Seasoning. It’s very simple and I bet you have many of the spices in your pantry already. Step 2 – If you’ve not peeled the shrimp then make sure you do that first! I did not leave the tails on, but you could if you prefer to eat them that way. 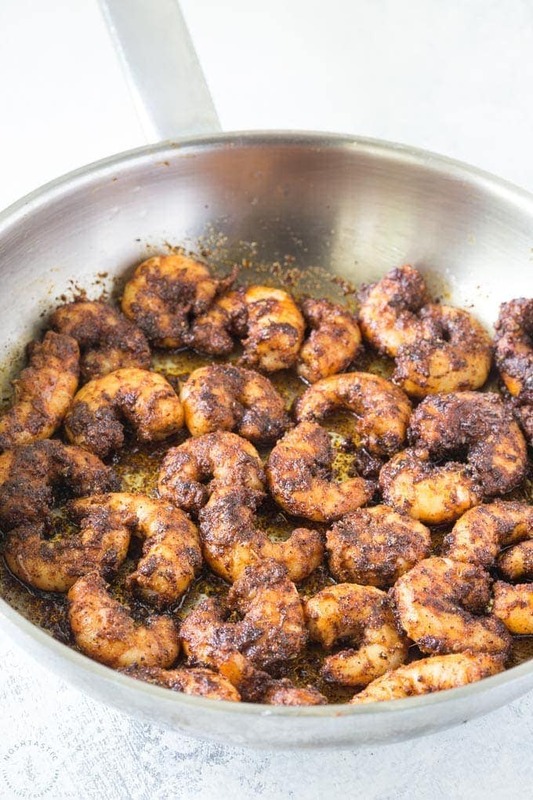 Step 3 – Toss the shrimp in a couple of tablespoons of the blackened Seasoning. you want just enough to coat them so simply eyeball it, and add what you need. 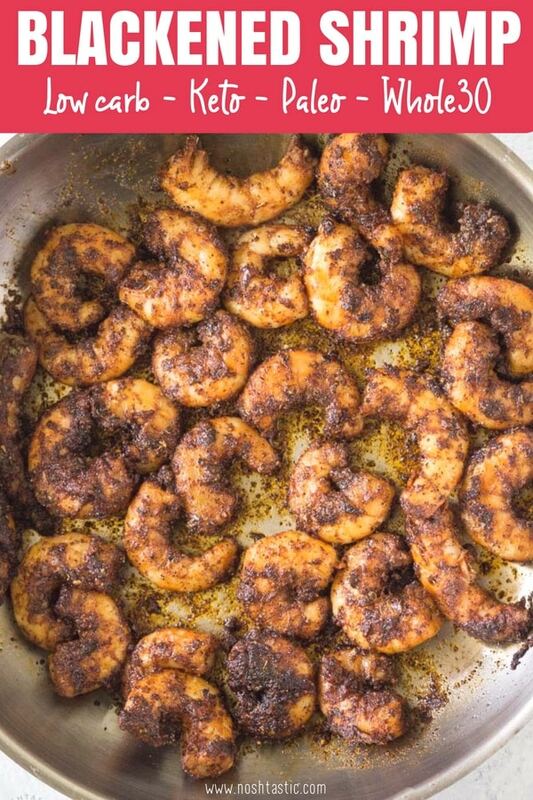 Step 4 – Warm the oil in a skillet and cook the shrimp for about 2 minutes per side, you want to just cook them and no more which will not take long at all. 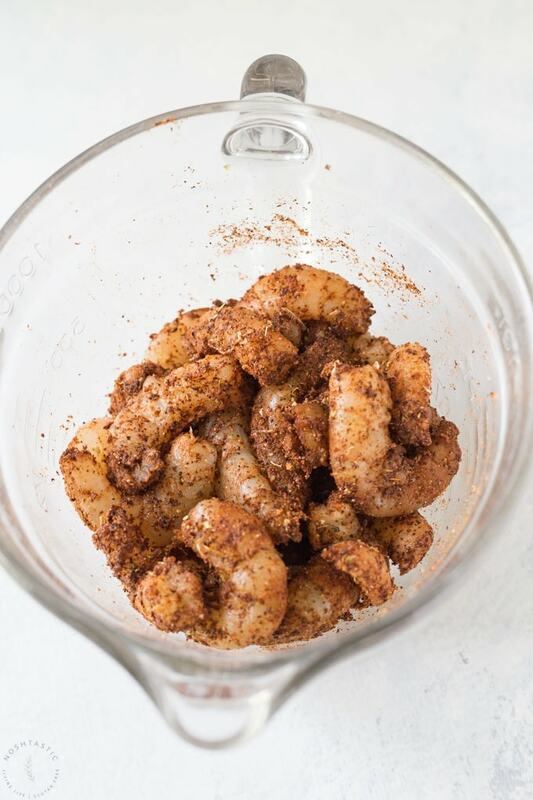 I’m a little fussy when it comes to finding the best shrimp, so here are my tips! Always avoid farmed shrimp wherever possible, the problems with them are many and too numerous to mention here. One reason is that they may contain harmful chemicals, pesticides, and antibiotics. Avoid shrimp or seafood that is frozen with sodium tripolyphosphate, not only is it potentially harmful, but the seafood just tastes nasty and has a distinct chemical aftertaste. Choose Gulf or Atlantic shrimp if you can find it, I’m fortunate to live in Mississippi and can often find Gulf shrimp locally. 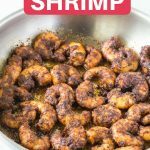 Don’t use already cooked shrimp for this recipe, it will be overcooked if you add the blackened seasoning and cook it again. What is Blackened Seasoning Made of? My homemade Blackened Seasoning consists of paprika, ancho chili powder, mustard powder, cayenne, cumin, black pepper, oregano, salt, garlic and onion powder. Are Cajun and Blackened Seasoning the Same? There are a lot of similarities between the two and many overlapping spices, so it really depends on the recipe you use. Weck Jars – I love the look of these jars and they are great for storing spices. 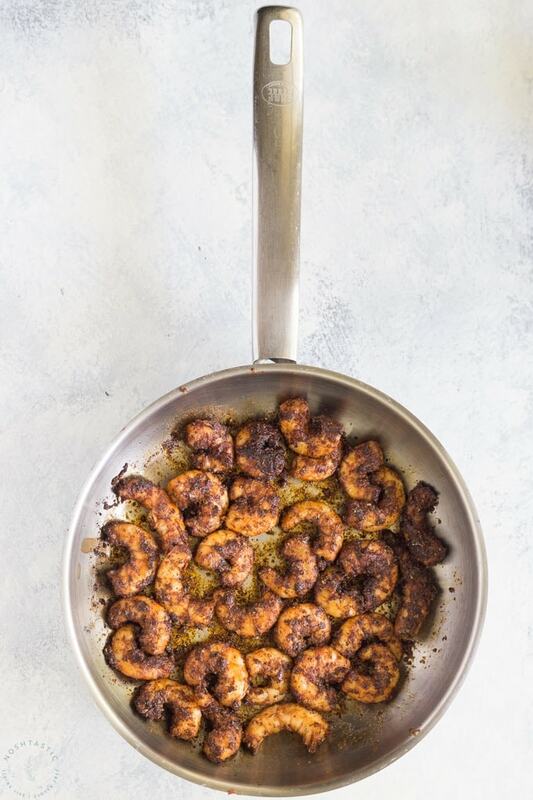 Delicious and easy, this blackened shrimp recipe will have you wanting more! Toss peeled and deveined shrimp with the blackened seasoning and let sit in the fridge for 10-15 minutes. Cook the shrimp for about 2 minutes and then turn them over for a couple more minutes until they are cooked all the way through, they will turn pink/white color when they are done. They are great in tacos or over my Cilantro Lime Cauliflower Rice.